The New York Times highlights the journey of BNA patient Tim Don from a broken neck to running in the Boston Marathon. Increasing number of athletes with various lower back and cervical spine conditions are being seen in neurosurgery clinics. A different approach is needed when treating athletes because of their high levels of activity and expectation of returning to sports competitions. Boulder Neurosurgical & Spine Associates initially focuses on comprehensive conservative management before considering any invasive procedure. If surgery is necessary, state-of-the-art minimally invasive surgical techniques and image guidance tools are utilized which allow athletes to have safer surgery and recover much more quickly. 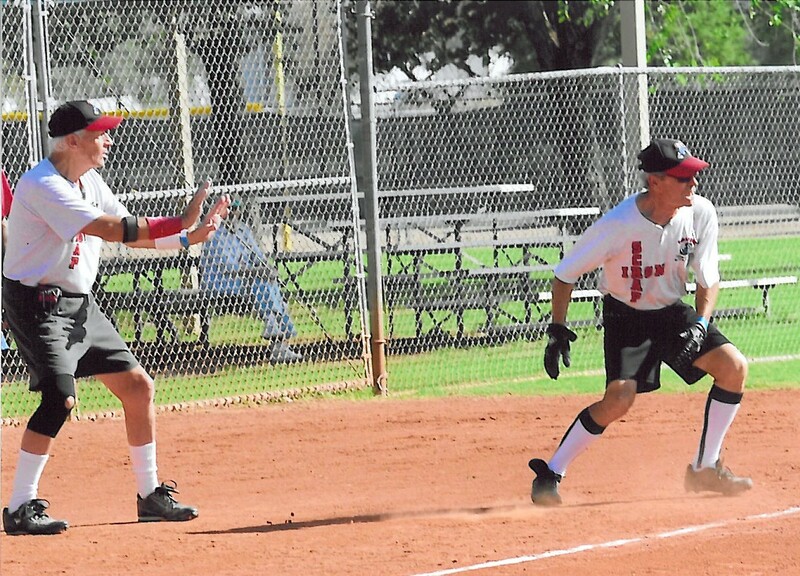 At Boulder Neurosurgical & Spine Associates we do everything in our power to assist athletes to get back into the action as quickly as possible. 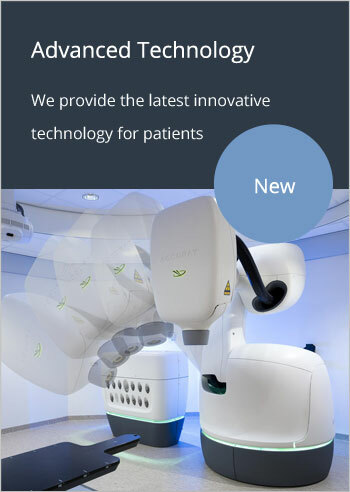 The latest minimally invasive and other innovative technologies in spine surgery employed in our clinics include total disc arthroplasty, percutaneous minimally invasive kyphoplasty for compression fractures, interspinous implants for spinal stenosis, dorsal dynamic stabilization systems, minimally invasive percutaneous fusion systems, and many other techniques. Boulder Neurosurgical & Spine Associates practices evidence-based medicine by integrating clinical experience and patient values with the best available research information and technology. We are sponsoring and actively participating in several ongoing research projects. We have published results of our epidemiological study that was performed in order to identify risk factors associated with the occurrence of neck and back pain in triathletes and to establish the lifetime incidence of such disorders in multi-sport athletes. This landmark study was one of the first comprehensive studies of neck pain and overuse injuries in multisport athletes. 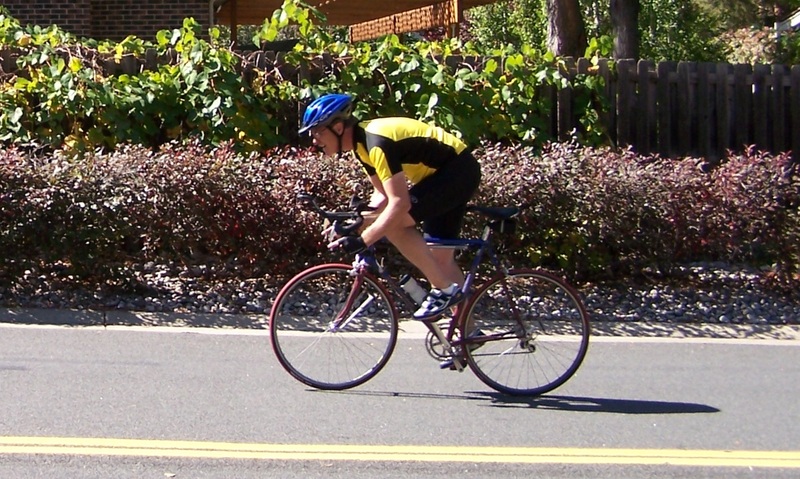 Information was collected about physical characteristics, training habits, athletic status, a number of races completed and neck or low back pain among triathletes. 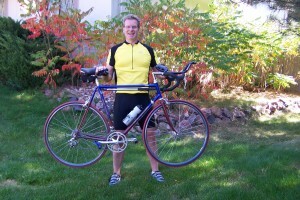 The study population consisted of triathletes who are living and training in the Boulder, Colorado area. The lifetime incidence of low back pain was 68%, with 24% possibly being of the discogenic origin. The lifetime incidence of neck pain was 48%, with 21% being consistent with intervertebral disc involvement. Sports medicine enthusiasts initially thought that the triathlon would be associated with less overuse injury due to more balanced stress distribution in the musculoskeletal system. Instead, our study demonstrated that triathletes tend to train more hours per week compared to any other group of single sport athletes, which leads to a higher incidence of injury. Early back pain symptoms should not be ignored, even if they last less than seven days and lead to spontaneous recovery. Our study demonstrates that some of the triathletes reported that their back pain was not sports-related, but overuse injuries and intense repetitive loads during training and competitions may as well exacerbate it. Recurrent symptoms or persistent and chronic back pain that lasts longer than three months is more typically associated with degenerative lumbar disc disease, spondylolysis, spondylolisthesis, traumatic injury to the intervertebral disc, lumbar facet syndrome, or even fractures. Fortunately, the majority of sports-related back problems resolve with conservative, nonsurgical management. The etiology of even minor injuries in triathletes should be professionally evaluated in order to modify the cycle of overuse-associated injury and increase training time devoted to flexibility and muscular balance. A different approach is needed when treating athletes due to their high levels of activity and expectations to return to sports. Therefore, extensive conservative measures should be exhausted before considering any invasive procedure. Please click the following links to read our recent published articles in Neurosurgical Focus and J Neurosurgery Spine on neck and back pain in triathletes. The findings of the epidemiological study on neck pain in triathletes were also summarized this poster. This study was presented at national and international presentations including 2007 Annual Congress of Neurological Surgeons (CNS) Meeting, 2008 Euro Spine meeting in Geneva, Switzerland, 2008 American Association of Neurological Surgeons (AANS) Annual Meeting, 23rd Annual AANS/CNS Section on Disorders of the Spine and Peripheral Nerves Meeting, and 21st Annual Neurosurgery in the Rockies Meeting. My name is Dawn Elder. I have had challenges with my back for as long as I can remember. 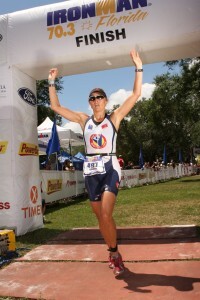 I have not let that slow me down and worked hard to become an avid Ironman Triathlon competitor. 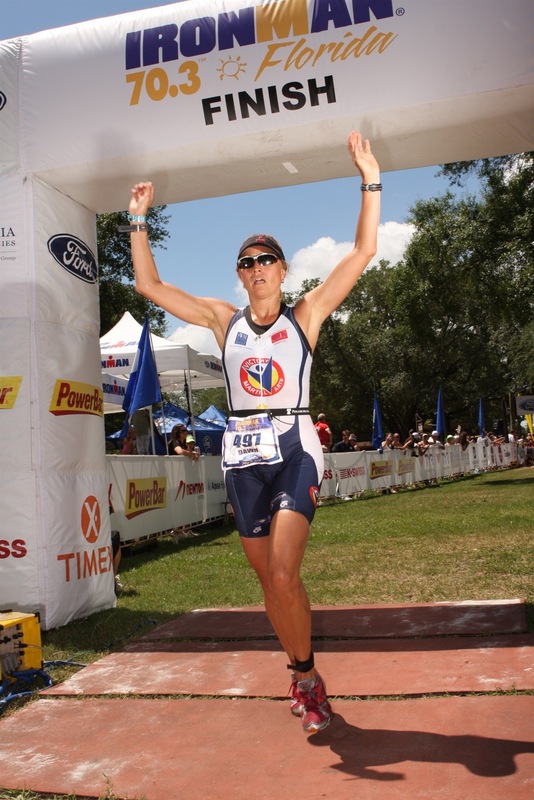 After competing in the 2006 Ironman Coeur d’Alene, I had my first back surgery by a local doctor to relieve pressure on my spinal nerves. I became aware very soon that the surgery did not address the problems I was experiencing. I tried to manage the problems with many steroid injections. Through another triathlete, I got in touch with Dr. Alan Villavicencio. While I had consulted with many different reputable doctors that told me a spinal fusion would end my running days, Dr. Villavicencio told me just the opposite. Dr. Villavicencio took the time to set up a consultation with me and assure me that even though I would eventually need a spinal fusion, I could wait and continue to compete. He reassured me that I would know when I would need surgery and that I could keep competing after surgery. One year later, the time to have surgery was undeniable. I had severe pain and loss of power in my leg. I would trip trying to go upstairs due to significant drop in my foot and my back would “lock up,” making me unable to move at all. I contacted Dr. Villavicencio and he helped move very quickly to get a surgery scheduled and I flew to Boulder. The surgery went very well and I was even able to stay an outpatient. I was walking the next day. For the first time in a long time, I was nearly pain free. I was able to continue walking and within eight weeks progress to swimming. Within twelve weeks I was back on my bike. In less than six months, I did my first run after surgery. I have had minimal pain and have been able to progress to racing. 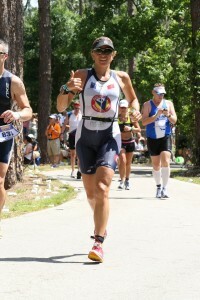 Less than one year after surgery, I participated in a half Ironman race in Florida. 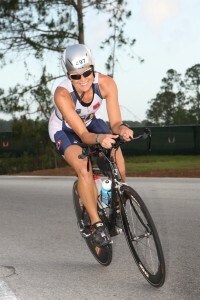 While I have been racing half Ironman races for six years, I had a 7-minute personal best in the race in Florida. I plan on participating in the Arizona Ironman this year. I will be forever grateful to Dr. V for his expertise and work on my back. He is the only doctor I would recommend. Dr. Villavicencio, it was good to see you last week on the one-year anniversary of a successful surgery. 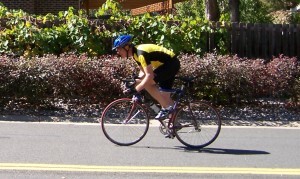 I’ve attached a couple of bicycling photos. I did over 2000 miles on my bike this summer, riding to work most days and getting in rides in the evening and on weekends. I was also able to start doing some running, which I hadn’t been able to do in over two years. Other activities this year include hiking, fishing, and hunting. Thanks to you and everyone who did such a great job. It’s all good now. 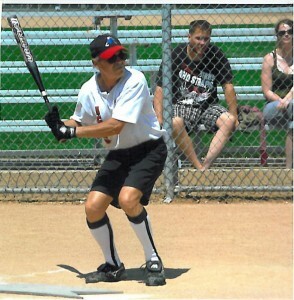 Mr. Bray is pictured playing ball 3 months after undergoing two-level lumbar fusion surgery. 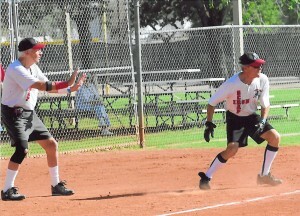 He is an outstanding 76-year-young ball player! I wanted to let you know that I went to Memphis last weekend for my “comeback” race, the first since my surgery. Training has been going pretty well, but since I don’t use a Garmin or any of that stuff, I really had no idea of pacing and such, so I didn’t know what to expect other than I figured I could go the distance. That was my only goal besides enjoying my return to competition. I was as surprised as anyone to have a decent day and win my AG yet again!! I felt good and had no pain on the run at all. I know I can go faster as I raced pretty conservatively due to being a bit apprehensive about how it would go. I am so grateful to you for this!! Your skill as a surgeon and willingness to say that I could continue to train and compete has made my comeback possible. The athletes I coach say that they are inspired by my progress and it makes me happy to be back in the sport I love so much. After all the doctors, PT’s and chiropractors… pain that kept getting worse despite time and often very painful treatments… and being told that my running days were over, I never thought I would be able to compete again. Luckily I found you before I accepted what others were telling me! I am currently planning the rest of my season… the season other doctors told me would not happen. Thank you so much for taking the time to help an old, broken down triathlete!!! If Dr. Villavicencio had said to me during our first consult, “I think we need to remove your head,” I would have signed the consent form on the spot. That’s how much pain I was in. I had lost the ability to do the things I love—coaching track and field and basketball, playing hockey, riding my bike, and sleeping. I constantly had tingles in my hands; had lost strength in my left arm, and was potentially on my way to becoming incontinent and/or paralyzed. When Dr. Villavicencio told me about his discectomy procedure, and the fact that it could be performed as outpatient surgery, I knew I was in good hands. 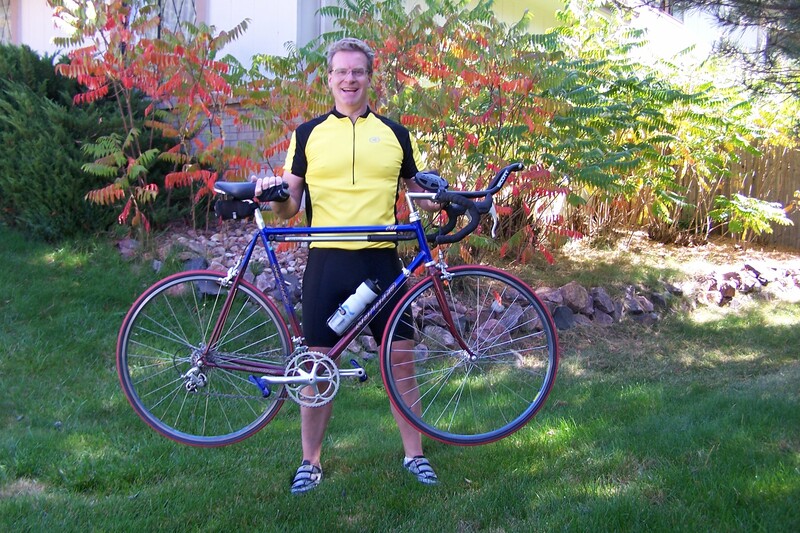 His sensitivity to chronic pain, along with his athletic background, makes him the doctor of choice for neurosurgery in the Front Range. Dr. V has assembled a great team of caring professionals. I couldn’t believe how at peace I felt going into surgery. The surgery went great. In two weeks, I was teaching eighth grade history—unbelievable! I am no longer in constant pain and I am coaching, biking, and rollerblading, with as much or more flexibility than I had before surgery. I am a P.E. teacher and coach and have always led an active lifestyle. I started having back problems about five years ago. It really limited what I could do. In January 2008, the back “problems” turned into constant pain running down my leg. I had herniations at L4 and L5. The pain was always there, day and night. I could not stand still because of the pain (I would constantly flex and extend my leg in an effort to minimize the pain). Sitting or lying down did not relieve the pain either. The pain woke me up at night and affected my sleep. After Dr. Villavicencio’s surgery, the pain was gone as soon as I came to. After rehab, I am now able to lift weights, run, ride a bike, coach, teach, etc. with no or little pain.